Neff's performance fleece sweatshirt is a modern take on your favorite wardrobe staple—the classic hooded sweatshirt. As comfortable as ever, Neff's fleece is made with 100% moisture management material to keep you warm and dry while providing ultimate comfort, making it ideal for warm-ups, practices and activities. 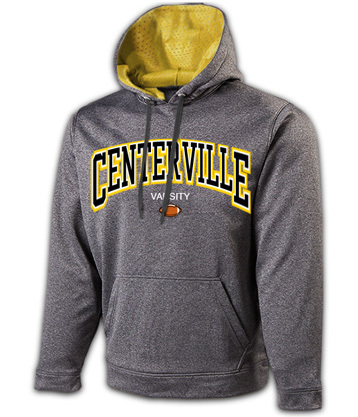 It's the perfect way to stay comfortable while showing your school pride. Want pants to match? Check out our Performance Fleece Pant! Please note: Upcharges may apply for some custom art requests.